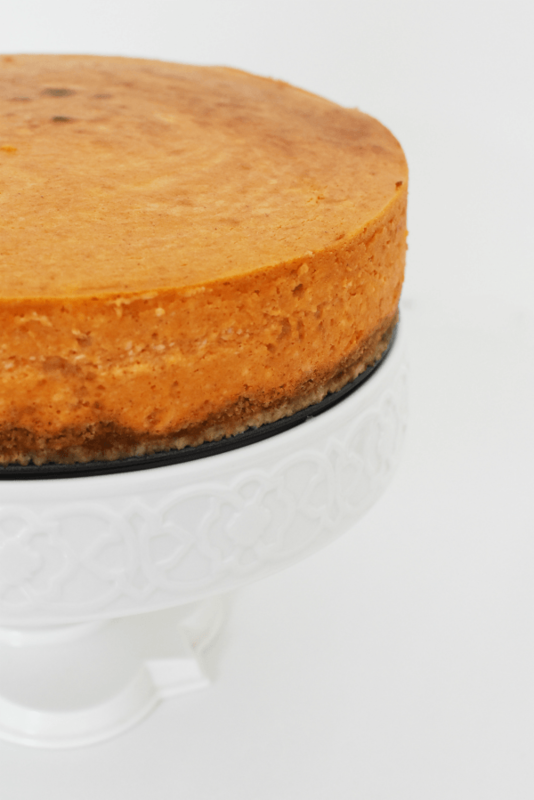 This New York Style Pumpkin Cheesecake is a Pumpkin Lover’s Dream Come True! Fun Fact: I grew up on a small farm as a child. At the ripe age of 10, my responsibilities included that of milking goats, feeding cows, rabbits, chickens, pigs, and YES cleaning out their coops and barns. I would get home from school and change into my outside clothes and boots to tackle my farm yard duties. YES, it was a ton of work, but I wouldn’t have it any other way. I saw animals come into the world, and I held calves that sadly passed. My real-world experiences with farm yard animals helped to shape me into the person I am today. After my father died, my mom had to get rid of the animals and that was the end of our farm years. Now, I am happiest around cows and chickens. I even live right near a dairy farm. In fact, my yard abuts the cornfield that grows cow corn to feed them. It is so pretty to see the barn right from my windows and cows. The feeling of peace and serenity really flow through my mind and I cannot help think of my father. His dream was to retire in either Maine or Upstate New York and own a dairy farm…a dream he would never live to see. A couple of weeks ago I was able to attend a really amazing event that I simply could not turn down. 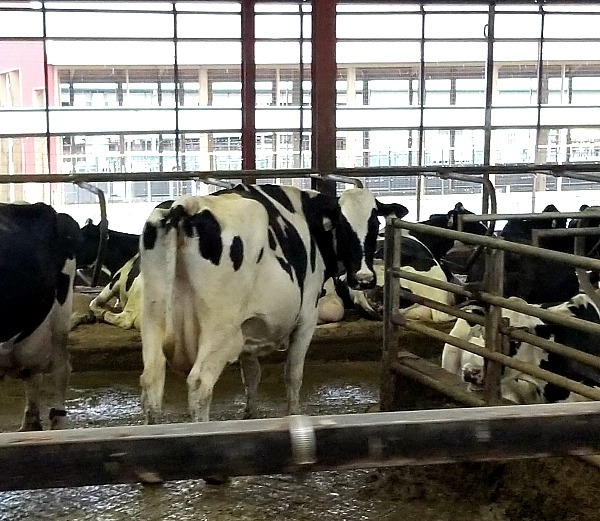 It was the experience of heading to Upstate New York to tour a local dairy farm, cheese plant, and to simply be immersed in all things dairy. There was even a MEGA fun Mac & Cheese throw down that produced some of the tastiest and most creative dishes I have ever had the pleasure of sampling. Who would have thought macaroni & cheese could be so creative? 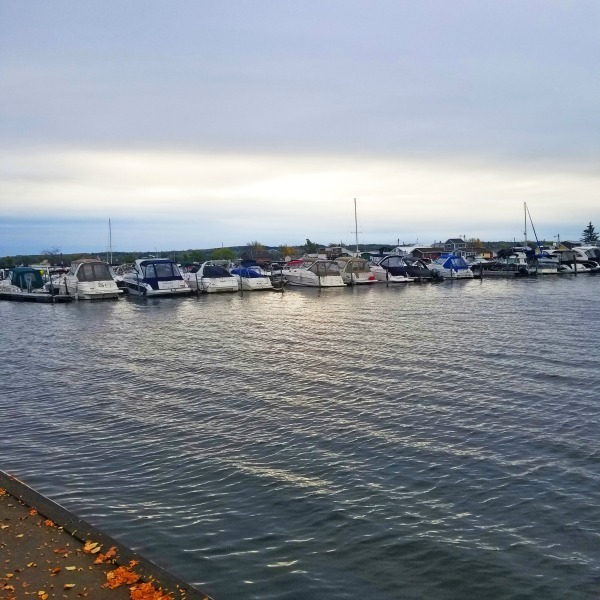 Once we got to the Inn on the Lake in Canandaigua, New York the real fun began! The grounds were so pretty and this particular inn was in close walking distance to the New York Wine & Culinary Center where our cookoff took place. 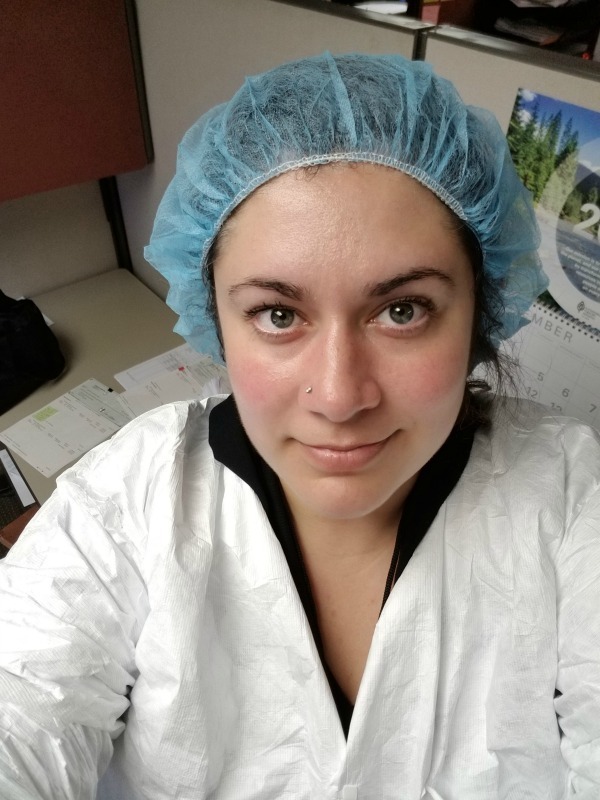 We got one on one time with dairy farmers (super cool), we toured an incredibly successful farm, and we got to see how cheese is made-Yancey’s Fancy Cheese to be exact. There are some really awesome clips and images you all can explore on instagram with hashtag #NYDairyTour17 –be sure to check them out!! 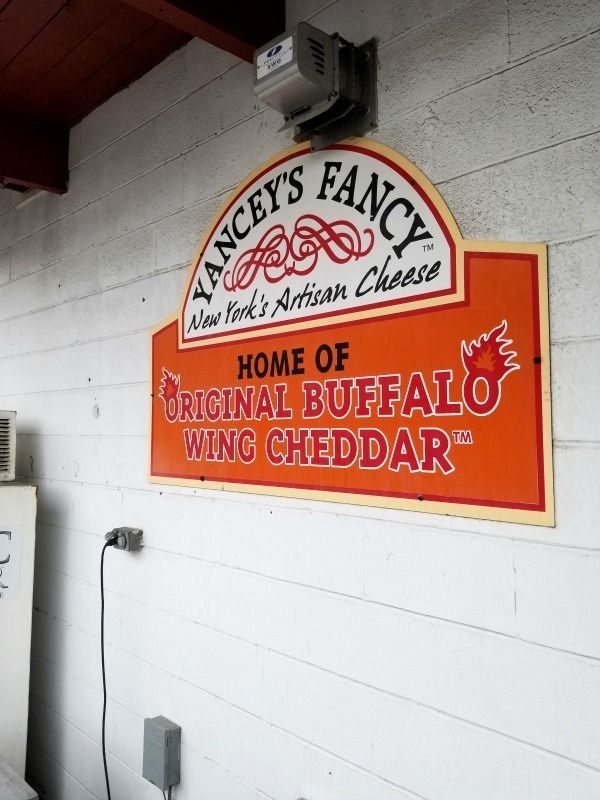 Yancey’s Fancy Cheese even sponsored our Mac & Cheese cook off which was extra appreciated since their cheese is AHHMAZINGGG!! Seriously, you all must check them out if you want to experience flavors like Steakhouse Onion Cheddar, Hot Buffalo Wing, and more! They are scrumptious and can be purchased online or in-store. Time for one my favorite dairy-filled desserts! Since we are such a dairy loving household, I wanted to share a special recipe that we enjoy this time of year that features some of my favorite dairy products- cheese & milk! New York Style Pumpkin Cheesecake Recipe anyone? Get the recipe for cinnamon whipped cream here. 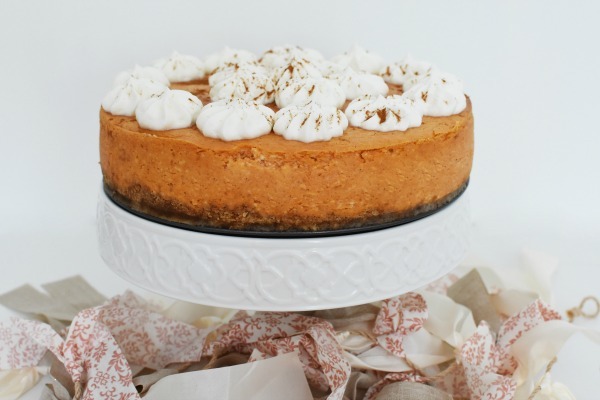 Ok, so this pumpkin cheesecake is the makes the perfect pumpkin cheesecake that you totally need in your life this time of year. It is loaded with the sweet notes of cinnamon pumpkin, and delicious cream cheese. I am pretty much the most impatient cheesecake slicer so I could not snap a picture perfect slice, but I assure you this recipe is the real deal and tastes even lovelier with a dollop of cinnamon whipped cream–totally delish! Get my printable recipe for New York Style Pumpkin Cheesecake and see just how yummy dairy really is. I mean, there is really no denying that dairy makes everything better. What is your favorite Dairy Recipe? Learn more about the Dairy Spot and follow along on social media sites Twitter, Facebook and Instagram. 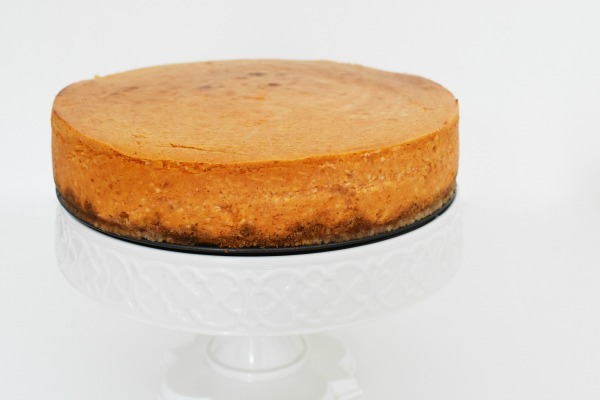 Pin this New York Style Pumpkin Cheesecake Recipe for later! A heavenly New York Style Cheesecake that is firm, and velvety all in one. If you love a thick cheesecake, this recipe is for you! Crust: In medium bowl, combine graham cracker crumbs, sugar & cinnamon. Mix in melted butter. Firmly press down mixture flat into a 9-inch springform pan. Set aside. Cheesecake:In a standmixer, beat cream cheese until smooth and creamy. Add canned pumpkin puree, eggs, the egg yolk, sour cream, sugar & the spices. Add flour and vanilla extract. Beat mixture together until well combined. Spread out evenly into an aluminum foil wrapped spring form pan and place in oven (in a water bath) for 1 hour. Cover with plastic wrap and place in refrigerator for at least 4 hours to set. That looks so good! I’ve never had pumpkin cheesecake before. It sounds ah-mazing! That’s so perfect for the season. Holy moly this looks delicious. I am totally going to have to give this a try. Oh yum! 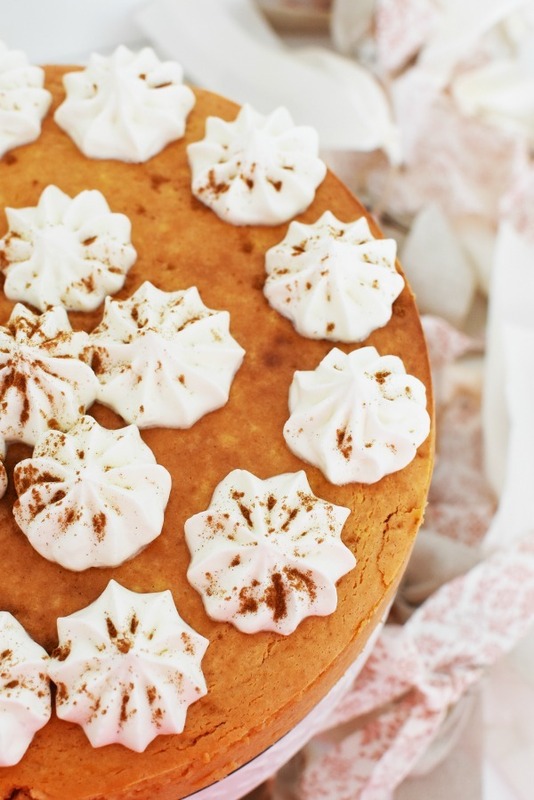 I love the idea of Pumpkin cheesecake. I am going to have to try to make this soon. I am sure it’s amazing. It looks GORGEOUS. I just tasted pumpkin cheesecake at Costco the other day. Heaven. I will definitely be trying this recipe. Thanksgiving is right around the corner and I know what I’m going to make. This looks amazing and I know everybody will like it. I wish I had known about that event , because I love animals and want to retire to a farm with animals in NY somewhere. The cheesecake is so good looking and great for the holiday. What a cool tour! I am diggin’ that cheesecake, too. Pumpkin cheesecake is one of my favs. 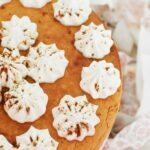 Pumpkin and Cheesecake in the SAME recipe? Yes, please! This is one delicious dessert that is begging to be made as soon as possible. Pumpkin cheesecake is my favorite treat. I will have to get the ingredients I need to make this recipe on the weekend. I am sure it will be a big hit. Oh this is looking super good! I feel like I haven’t made a cheesecake in a long time. This would be amazing for Thanksgiving. That looks amazing. 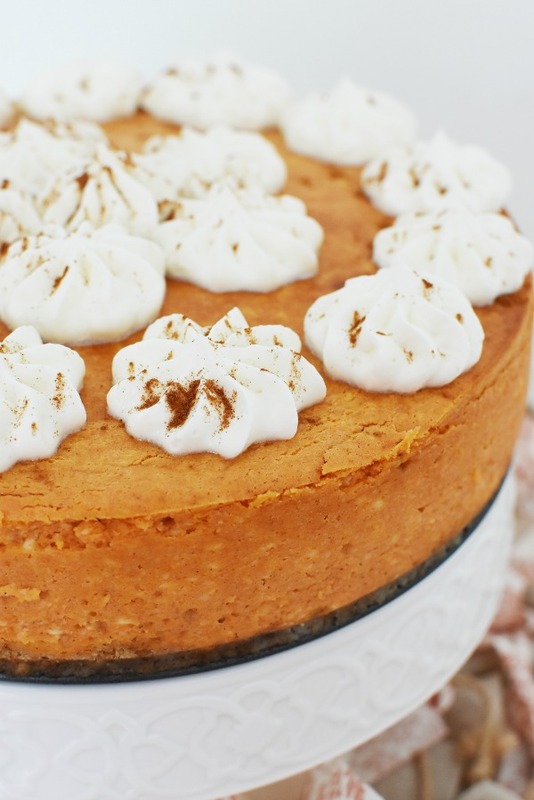 I love cheesecake, but have never tried pumpkin cheesecake. I need to try some right away. Yum! This recipe sounds delicious! I am going to try and make this one! I love pumpkin cheesecake. This one looks absolutely delicious! Isn’t it fascinating to see how cheese is made? This cheesecake looks amazing! Oh my YUM! Oh how I love cheesecake and oh how I love pumpkin. The two together are nothing short of a dream come true! Oh my, you had me with cheesecake! I love a good cheesecake and this sounds so yummy! That cheesecake looks amazingly delicious! A new favorite fall dessert! Wow a cheesecake recipe (with pumpkin) and a farm visit. What fun for fall! The Dairy Tour looked so fun! I would love to check that out! 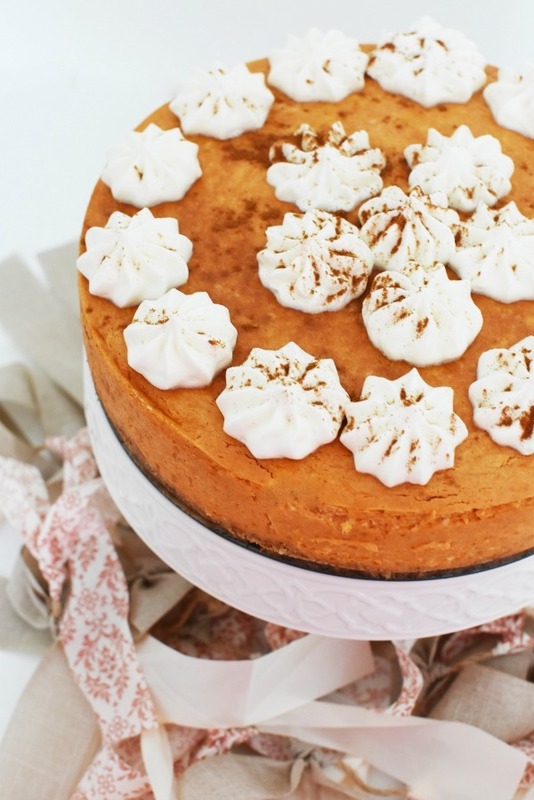 Pumpkin cheesecake is my favorite cheesecake!